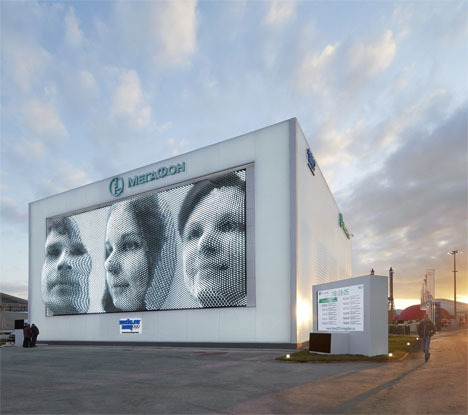 Giant faces measuring 25 feet in height emerge in three dimensions from an ‘architectural Mount Rushmore’ at the entrance of Sochi’s Olympic Park. 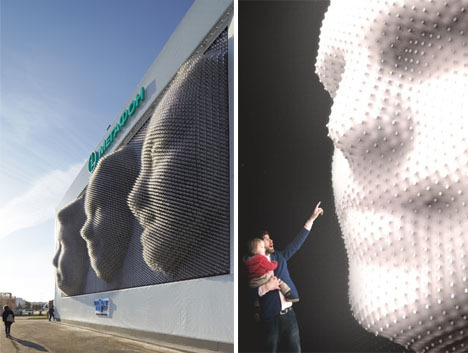 ‘MegaFaces’ is an interactive installation by architect Asif Khan consisting of a fabric pavilion that is manipulated into the shape of visitors’ faces by 11,000 actuators located just under the cube’s stretchy membrane. 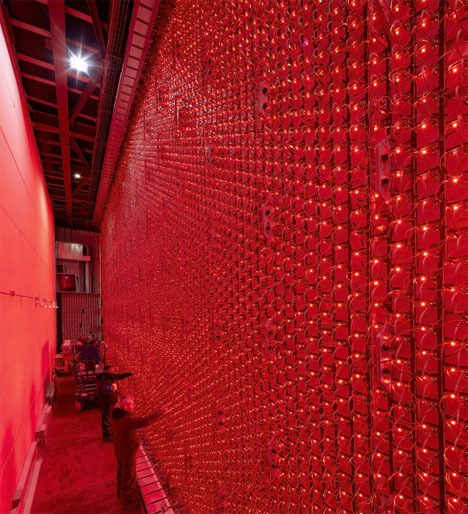 The 11,000 actuators that create the images are tipped with translucent spheres containing RGB-LED lights, so a combination of physical movement and light intensity creates the pinscreen effect. 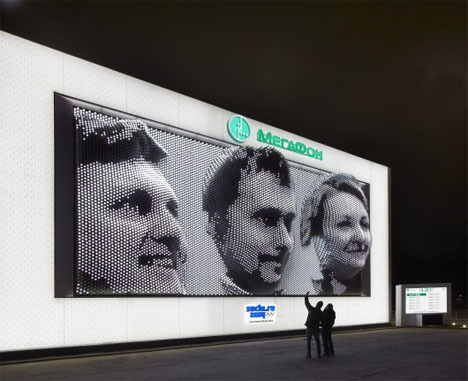 The idea is that anyone can “become a hero,” reflected to the world on a large scale.